Fifty Third and Eighth is now completely re-imagined to reflect the neighborhood’s bold character and distinct charm. Each aspect of the property has been meticulously transformed to create a unique sense of modern luxury. 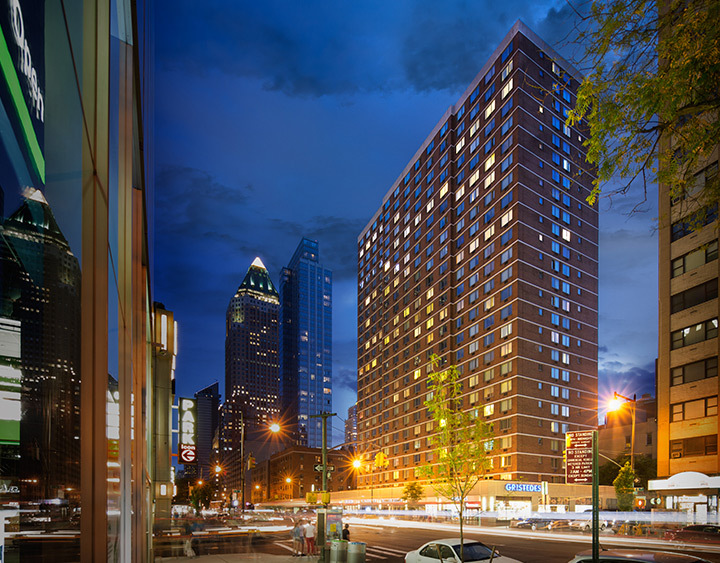 Fifty Third and Eighth, located at 301 West 53rd Street, is a commanding 25-story brick building. 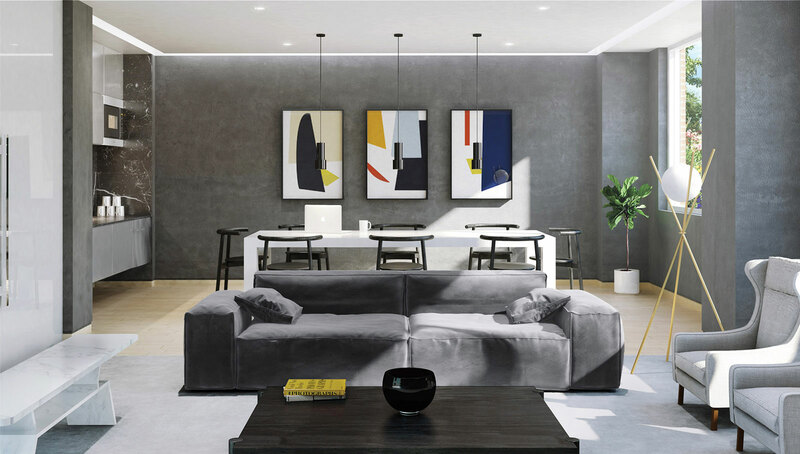 Originally built in 1979, the property is proudly located in the heart of one of Manhattan’s most sought-after, energetic and up-and-coming neighborhoods: Hell’s Kitchen. 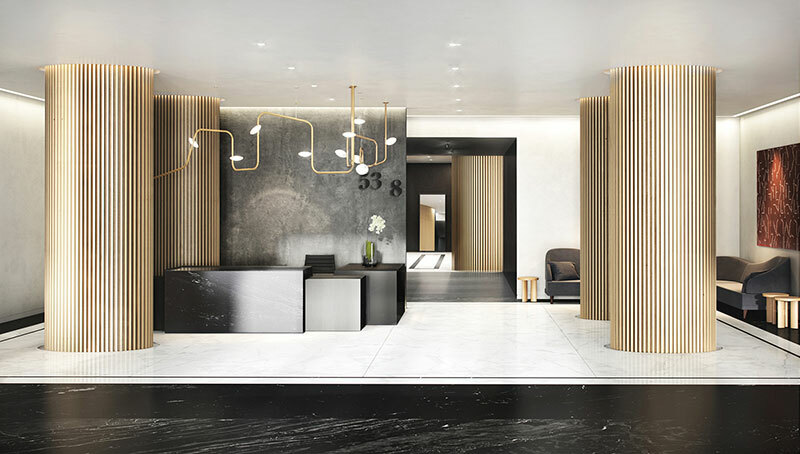 Upon entering the modern lobby designed by ASH NYC, residents and their guests are greeted day and night by a gracious 24-hour doorman and concierge. Light-filled one, two, and three-bedroom residences reveal skyline, Central Park or Hudson River views. 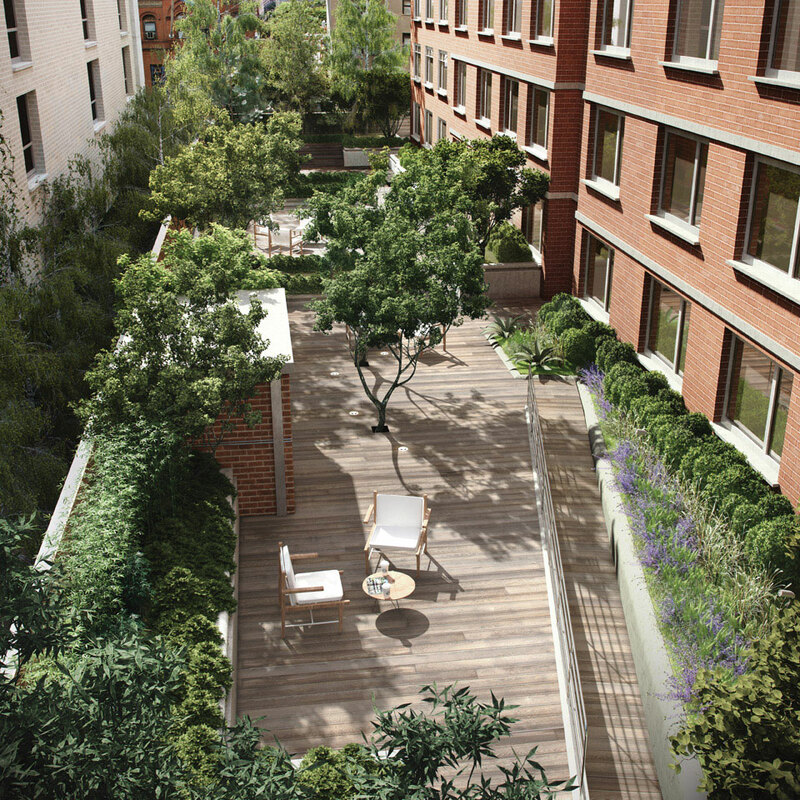 Fifty Third and Eighth offers convenient amenities such as bike storage, as well as fitness and outdoor amenities. 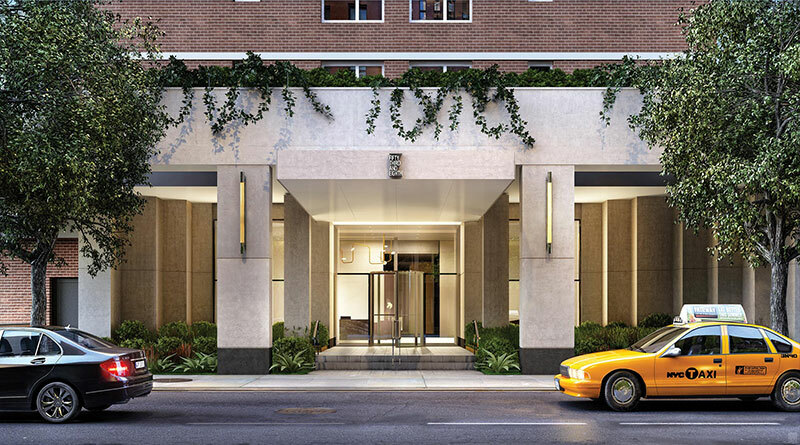 In the heart of Hell's Kitchen, Fifty Third & Eighth is serviced by best-in-class amenities. 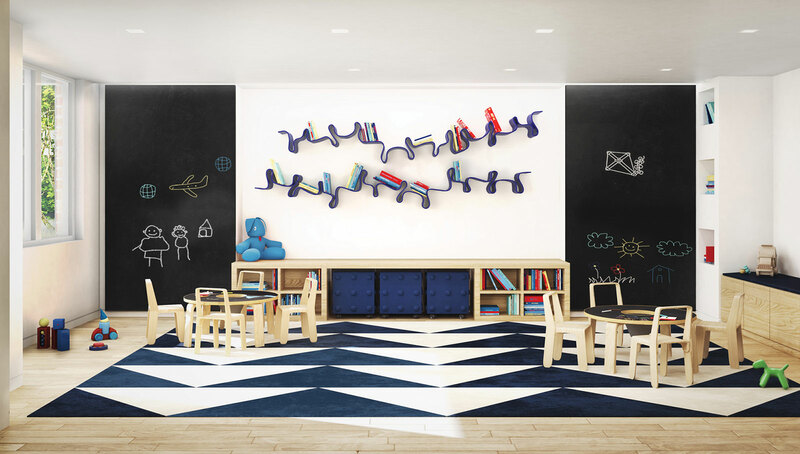 On the second floor, residents can unwind in a sun-drenched lounge equipped with a kitchenette, communal workspace and lush terrace, with an adjacent children's playroom. A state-of-the-art fitness center offers yoga, cardio and weight equipment, as well as men's and women's sauna, flanked by a secluded garden. 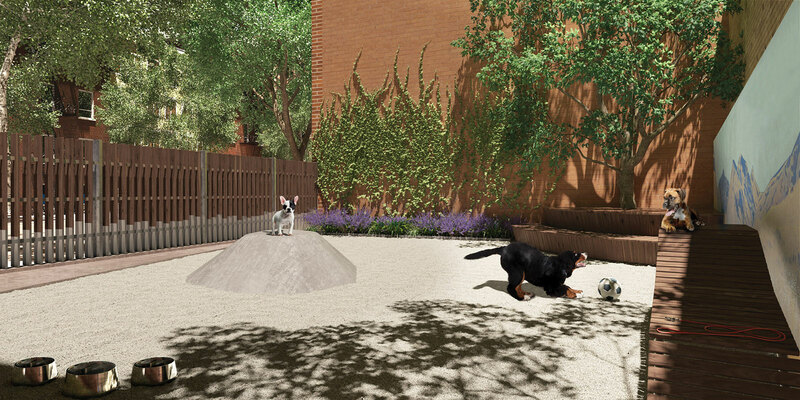 This expansive outdoor space can accommodate open-air fitness classes and has access to a private pup park where pets can run and play without ever leaving the building. 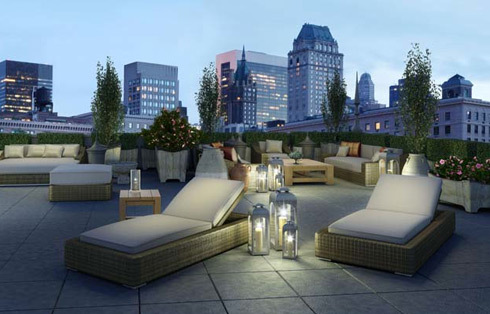 An ideal place for barbecues, picnics and sunbathing, the rooftop lounge enjoys unobstructed views of the majestic Manhattan skyline. In addition, residents benefit from valet dry cleaning and on-site parking all at Fifty Third & Eighth. Whether it’s an important package delivery or your guest’s arrival, round-the-clock personnel allow you to put your mind at ease of everyday concerns. 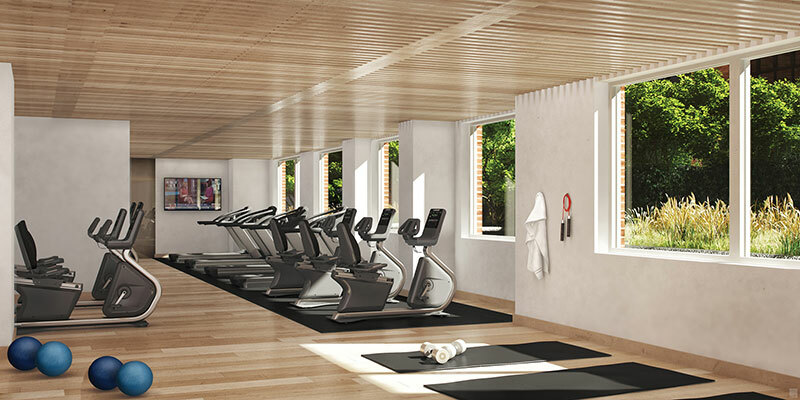 Enjoy the convenience of a state-of-the art fitness center and spa without leaving the building. Offering residences distinct areas for yoga, cardo, and weight training as well as men’s and women’s saunas, your fitness goals are only feet from your front door. Take a moment to unwind on the lush landscaped terrace, adjacent to the fitness center. Shaded outdoor areas are ideal for quiet reflection, while larger deck zones are sized to accommodate open-air fitness activities. Enjoy incredible city, park and water views from the expansive rooftop.